Marla is a fifty-eight-year-old native of Oakland, California, with three children and two grandchildren. Marla started her career as a secretary on a typewriter, processing letters, notes, and invoices. As computers made their way into mainstream society, she progressed to a clunky desktop, eventually a laptop, and now works for an artificial intelligence startup and finds her tablet indispensable. With retirement in view and more time to spend with her grandchildren, Marla keeps puzzling the future of her grandchildren: what is the future of work for them? In 2018, 10-15 disruptive technologies sit on the horizon to usher in “Industry 4.0” or the fourth industrial revolution. As with those in previous centuries, it’s hard to imagine the future in a concrete sense: cities and towns, jobs, school, transport. It’s hard to imagine because there are so many disruptive technologies that individually and collectively will change the economy, society, jobs, and the workplace. Renowned Harvard Business School professor Clayton Christensen first wrote about disruptive technology and innovation in the 90s describing it as when one technology displaces an established technology and changes the nature or structure of an industry. Disruptive technologies tend to be new and aren’t incremental improvements on existing technologies. Fordham University professor, Milan Zeleny, went a step further to say that disruptive technologies must change the structure and organization, the architecture, of that which supports existing technology. Most of us have heard of these technologies, but would struggle to have a discussion on what the implementation and implications of each technology looks like, let alone in combination. Partly the challenge is comprehending the impending changes and creating or analyzing the new relationships between humans, technology, society, business, and government. Take for example 3D printing: imagine not going to a shop or ordering off Amazon. People will print most of their needs: houses, clothes, wood, utensils, cars, even Nutella. One city is printing a metal bridge. The future is so bright for 3D printing that printers could make organs, eyes, ears, or bones. As a result, humans could live healthier, longer, and the relationship of consumer to retail and producer may cut out most retail shops and change what cities and towns look like. The agricultural industry has already experienced significant change, but imagine autonomous tractors, smart robots, and connected land and water surveillance: humans won’t need to pick fruits and vegetables, spray crops, or survey their fields by plane or helicopter. Farmers and consumers will likely be less concerned about the potential pollution of their crops due to the increase in renewable energy use. Advances in renewable energy technology and changes in consumer preferences will eliminate fossil fuel use, gas-powered cars, and thus gas stations. Soon enough, electricity will be free. If electricity is free, the internet is everywhere, and machines and devices have sensors, infrastructures and machines will be “smart,” the factory and city of the future will look quite different than what we know today. Warehouses and factories will be 99% machines with the occasional human. Machines will predict wear and tear and move to preventative maintenance: no more broken trains, buses, water pipes, etc. 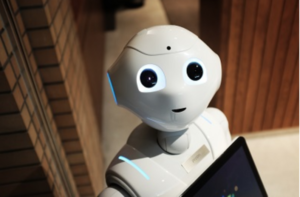 Groceries will be delivered and robots will have packed and shipped everything; the likes of Safeway and strip malls will be things of the past. Deliveries will be done by drones and USPS may not have the traditional mailman anymore. High-speed travel will make travelling from one city to another faster and easier: no more short-distance flights, airport hassle, or long road trips. Clearly, the world will be quite different. The city Marla grew up in won’t be the same city that her grandchildren grow up in, though they remain in Oakland. Hundreds have studied and tried to quantify disruptive technologies’ impact on jobs and the future of work: the breadth, depth, and scale of impact, which jobs will disappear and which will remain, how will the skillsets demanded change, etc. Overall, predictable physical work with repeated tasks, will be automated. Office support and administrative duties will be automated. Construction will likely need far fewer builders because machines will build. Jobs with customer interaction will shift, such as hotel and travel workers, food-service workers, retail workers, etc. McKinsey predicts that in 60% of occupations, at least one-third of job duties could be automated. The World Economic Forum predicts an increase in freelance work to more than half the workforce. The OECD predicts that those in their teens will be the most at-risk for being put out of work by automation. In 2018, we face a significant number of disruptive technologies that will, in accordance with their nature, disrupt life and the economy as we know it. Jobs will be automated out and will change in nature, but equally new jobs will be created that don’t yet exist today. Workers will need to be flexible, collaborate, be capable of digital navigation, handle high complexity, respond to a high number of requests or demands for attention and response, manage/filter signals and noise, and align themselves with work through skills-based not knowledge-based economies. Undoubtedly, there will be an increase in IT-related jobs, however they’re more likely to be in combination with other roles and industries as the lines blur, IoT pushes us to connect everything, thus technology and humans become ever closer. UC Berkeley Innovation and Entrepreneurship newsletter from Dr. Christine Gulbranson. So how exactly did an open-source tool called Mule (which btw, took the “donkey work” out of integration) become the MuleSoft it is today — all 6.5B dollars of it? I chatted with my good friend Greg about the company’s unlikely comeback at our 1to100 conference. He was quick to point out that the integration space was one of those massive market opportunities available for the taking — “nobody had really figured out how to crack the nut on it.” He also identified three key drivers of MuleSoft’s rise: a product pivot, bigger enterprise deals, and forward-looking team construction. To give a sense for the magnitude of the challenge, Greg says that there was “$700 billion in [integration] pain that we could address… it was the biggest unsolved IT problem of all time.” MuleSoft’s original vision was to solve integration issues with a flexible platform approach that eliminated the need to build specific software for every connectivity problem. MuleSoft’s starting principles were generally headed in the right direction, but they hadn’t successfully hit significant market traction. 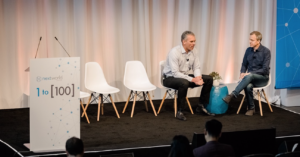 When Greg joined MuleSoft in 2009, it was still unclear how MuleSoft was going to address the challenge; the company was “pivoting around quite a bit at the beginning.” At that point it was all about survival — “keeping the lights on” with the original product, while MuleSoft identified a new direction to take. To grow their revenue, MuleSoft didn’t actually change their target customer set. In contrast to the usual up-market ambitions of enterprise companies, MuleSoft’s primary challenge wasn’t chasing bigger customers. “We were always selling to the big enterprises,” says Greg. “J.P. Morgan was one of our first customers.” But the enterprise engagements MuleSoft had been getting were small, tactical sales. A big part of MuleSoft’s success was the company’s ability to recruit great talent. As a CEO, Greg naturally gravitates towards building a company around people and culture — this included a close handling of hiring at MuleSoft. “I dug in there and that was my thing,” he says looking back. Greg’s focus on culture and hiring paid off, although Greg admits he wished he’d hired a talent lead even sooner to keep himself more broadly focused. Nobel Prize-winning psychologist Daniel Kahneman — along with Amos Tversky, his longtime collaborator who died in 1996 — changed the way the world thinks about economics, upending the notion that human beings are rational decision-makers. Along the way, his discipline-crossing influence has altered the way physicians make medical decisions, political scientists think through foreign policy and investors evaluate risk on Wall Street. It’s fair to say he’s changed the way many think about thinking itself. Now, in a new article written with two co-authors, Kahneman could help influence the way senior executives approach decision-making. In a paper published Monday by the MIT Sloan Management Review, Kahneman and professors Dan Lovallo and Olivier Sibony outline a process for making big strategic decisions — things like whether to make an acquisition, launch a new category of products or invest in a start-up. Sibony, a former leader of McKinsey & Co.’s corporate strategy practice and now an affiliate professor at HEC Paris, said that while many companies have detailed processes in place for making lower-level decisions, ones made at the higher level can be subject to more gut-based instincts. I often get asked what the difference is between those terms. “Is lean startup opposite of design thinking? oh no, maybe it is the same?” and “Ah ok, so you mean agile?” or “I think Agile is a better word for it”. Those are some of the comments I get whenever I talk about one of terms above. I will hereby try to clarify what these terms relate to, and how they can be integrated with each other. Design thinking is an iterative process in which we thrive to understand the user’s pain, challenge assumptions, redefine problems, in order to create new strategies and solutions. Opposed to “Brainstorming”, Design thinking promotes “Painstorming”, in order to fully understand the user’s pain. Globally, 90% of startups fail (Forbes) and the number one reason is market failure: “They make products no one wants.” (Fortune). The lean startup methodology was born in Silicon Valley in the 90s, but the use of the word “lean” has its roots to Toyota’s lean production system. Toyota’s lean manufacturing system was used to build things efficiently, yet it doesn’t tell what should be built. Agile is a way of working, based on an iterative development, incremental delivery and ongoing reassessment of a product. As mostly used in software development, it is based on a clear idea of the product’s concept and its market. Contrary to the idea of focusing on a set of features to be developed, agile focuses on the high value features first. Agile is all about producing tangible, working results after each iteration. According to the 12 principles of the Agile Manifesto, “Working software is the primary measure of progress.” Deliver a rough draft, then revise based on your editor’s suggestions. Never deliver the entire piece all at once! Design Thinking, Lean Startup and Agile can be combined as shown in the picture below. 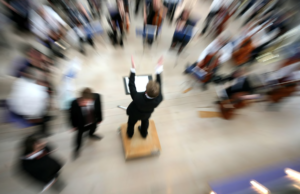 Build and deliver the product incrementally and faster through Agile processes. If 90% of startups fail because they produce products nobody wants, combining those methodology drastically reduce this risk of failing. As you probably noticed, all the three methodologies take the final user into account, through direct feedback. This feedback loop makes sure that no product is created without a purpose to the final user. This is clearly against the old way of planning on paper and then starting building a real product based on a list of pre-decided features. Using the new Lean Entrepreneurship Guide, recently published 6-page, laminated chart of all 14 lean, evidenced-based entrepreneurship planning methods, startups can be better designed for surer success. Besides design thinking and agile, pieces of different lean methods can be used for stages in the planning process. For example Marius Ursache of the DE Toolbox suggests a lean launch pad process can be enhanced by using the lean (Ash Maurya’s Running Lean) vs. business model canvas and the customer development more thorough using DE, disciplined entrepreneurship (Bill Aulet MIT). Tailoring a lean startup plan through combination of techniques will make the final result more successful and certain to satisfy the customer need. To buy the lean entrepreneurship guide on Amazon, see https://www.amazon.com/Lean-Entrepreneurship-Guide-Clinton-Day/dp/1423242017. If you are looking for the intersection of past practices, current thinking, and future insights into the ever-expanding world of entrepreneurship education, then you will want to read and explore the third volume of the Annals of Entrepreneurship Education and Pedagogy. Prepared under the auspices of the United States Association for Small Business and Entrepreneurship (USASBE), this compendium covers a broad range of scholarly, practical, and thoughtful perspectives on a compelling range of entrepreneurship education issues. The third volume spans topics ranging from innovative practices in facilitating entrepreneurship teaching and learning inside and outside the classroom, learning innovation, model programs, to the latest research from top programs and thoughts leaders in Entrepreneurship. Moreover, the third volume builds on those previous as it continues to investigate critical issues in designing, implementing and assessing experiential learning techniques in the field of entrepreneurship. Edited by Charles Matthews and Eric Liguori, this updated volume provides insights and challenges in the development of entrepreneurship education for students, educators, mentors, community leaders, and more. 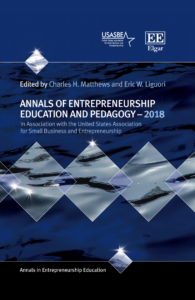 Annals of Entrepreneurship Education and Pedagogy – 2018 is a must-have book for any entrepreneurship professor, scholar or program director dedicated to advancing entrepreneurship education in the US and around the world. The world is changing in ways we could have never anticipated. Unlike the industrial revolutions of the past, the Fourth Industrial Revolution is advancing at a far greater pace than humankind has ever experienced. Given the advancement of technology, the new world of work, and changing job types that will require new skill sets, the need for all levels of society to be entrepreneurial has never been greater. Yet, our current educational models have not kept pace, with many schools keeping entrepreneurship at the perimeter of their curriculum and organizational strategy. It will require significant entrepreneurial leadership to reinvent the current educational model and create the entrepreneurial learning environments needed to cultivate an entrepreneurial mindset in academic leaders, faculty, and students in classrooms and across campuses. The report strongly emphasizes the need for entrepreneurship to be deeply embedded across college campuses and disciplines in order for all students and faculty to be exposed to entrepreneurship education, no matter their chosen path. To do so, the entrepreneurial mindset must be cultivated at the individual level focusing on the development of entrepreneurial attitudes, behaviors, and skills. This cultivation requires experiential learning and real engagement in the entrepreneurial process. It requires interaction with real world entrepreneurs, preferably local, to serve as socially relatable role models, a component of self-efficacy. And, it requires an entrepreneurial educator who acts as a facilitator guiding the entrepreneurial learning process so that the students take ownership of their learning. Build a pipeline of entrepreneurial educators through entrepreneurial training and education. It is critical and ever-pressing that education heeds the call to move entrepreneurship from the perimeter to the core of the way it operates in order to remain relevant, as well as produce the entrepreneurial graduates needed for the future of society. To become an entrepreneurial institution, entrepreneurship must be a part of the organizational DNA, embedded in the institution’s vision, mission, and value system. Leadership must commit to leading with an entrepreneurial mindset and embracing entrepreneurship from the highest level in order to achieve success. 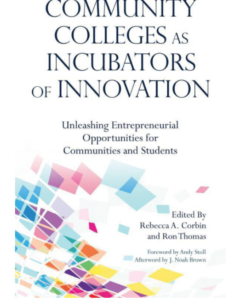 To learn more, read NACCE’s new book, Community Colleges as Incubators of Innovation, available on Amazon at https://www.amazon.com/Community-Colleges-Incubators-Innovation-Entrepreneurial/dp/1620368633. Shark Says Veterans Make Great Entrepreneurs. Daymond John, acclaimed business owner and investor, knows a thing or two about how to succeed in business. John is the founder and CEO of hip-hop clothing company FUBU but is best known as “the People’s Shark” as an investor on the Disney-owned ABC smash hit reality show “Shark Tank”. John is lending this time and taken to the Heroes to CEOs contest, hosted by Bob Evans Farms. The competition is exclusively open to veteran entrepreneurs, and three finalist will be flown to New York to meet with John to give their pitch. One grand prize winner will receive a $30,000 business grant, as well as an additional mentoring session with John. U. S. Air Force veteran Charlynda Scales was a recipient last year and used the grant money to ramp up manufacturing for “Mutt’s Sauce”, an all-purpose, sweet and peppery tomato-based sauce from a recipe created by her grandfather, Charlie “Mutt” Ferrell Jr. I spoke with John recently about the challenges veteran entrepreneurs face and what set them apart from their peers. 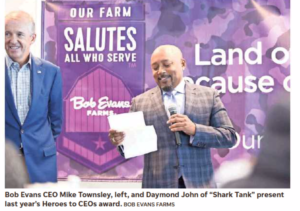 “This is the third time I’ve had the pleasure of working with Bob Evans Farms to celebrate veteran entrepreneurship”, John said. “Each year, it reminds me of my passion and commitment to helping aspiring entrepreneurs by sharing my experience.” John believe that while veterans have much to offer, many are reluctant to share their backgrounds. “Some of them don’t want to tell people that they’re veterans, because for some reason other people think if they get into business with (veterans) or give them this opportunity, they may have some baggage that is not beneficial to the relationship,” John said. Another difficulty many veterans face is overcoming an “others first” mindset. “Veterans were taught to think about everybody else and stand-in the line of fire for everybody else,” said John, “and sometimes they don’t think about what they need.” An entrepreneur needs to be “a little bit selfish…to place themselves and their business first”. This is one of the “small adjustments” veterans have to make “so they can grow their business better and be able to help more people,” he said. …But also distinctive strengths -John noted a number of factors that make veterans ideally suited to be business owners and entrepreneurs. “they come with a wide network of like-minded people they can reach out to'” John said. “They also know how to complete tasks in a timely manner.” He went on to say former military members have experience with navigating obstacles and overcoming them, which will come in handy as a business owner. Tips for anyone trying to grow a business… -Some of John’s guidance for veterans is also sage advice for any budding entrepreneur, or even a seasoned business owner. John said entrepreneurs need to draw on their “slack resources”, of those innate resources that everyone has. If you’re looking to start a business, “tap into the years experience you have and the network you have around you, because the money can come and go.” John went on to say that money can at times be a hindrance, as people tend to “throw more money at something”, rather than addressing the cause of the problem. Finally, John recommended using the skills of people within your network -what he called OPM- other people’s manufacturing, manpower, mind power, or marketing. “Tap into all the other resources you have, and don’t just depend on the money. Veteran entrepreneurs can enter the Heroes to CEOs contest through March 20 by submitting a video sharing their business idea and a plan demonstrating a solid business concept through Bob Evans Farms. NOTE FROM EDITOR: As an instructor for three years in the Veterans Florida Entrepreneurship Program in Tampa, I can attest to the fact vets make good entrepreneurs. Not only are they trained in leadership, the work well in teams (backbone to startup), have mission persistence to overcome obstacles, and often a base retirement or saving to sustain the first year. Every now and then your editor stumbles across a nugget that must be shared. This past week was one. 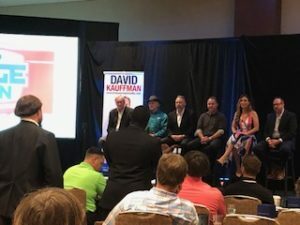 Returning from Google Global Grind in Silicon Valley jet lagged, I arrived late to the annual EDGEcon 2019 in Sarasota FL sponsored by Dave Kauffman, small business counselor, radio host, and official Zig Ziglar trainer. Wow…it was better than Google Grind! Spot on our needs, it focused on small business marketing, office tracking, sales, procedures, relationships, and leadership. Speakers were nationally known Darin Adams, Delattorro McNeal, Jessica Peterson, Charlyn Shelton, Jacob Salem, Lew Sterrett, other Ziegler trainers Brian Fanagan and Ellen Rohr, and the high-powered motivator Brian Forte (frequently shares a stage with Tony Robbins). Not only was it well organized and timed, but, when it came to break-out sessions one could not make a decision because they were all so good. The coup d etat was the final speaker, one Ron Klein. When he finished with his simple message of opportunity all around us, we sat there spell-bound in unison. Nicknamed “the Grandfather of Possibilities” Ron prefers the tag of “innovator”. He is the inventor of the magnetic strip on credit cards, credit card validity checking system and developer of computerized systems for Real Estate (MLS) services, voice response for the banking industry and bond quotation and trade information for the New York Stock Exchange. 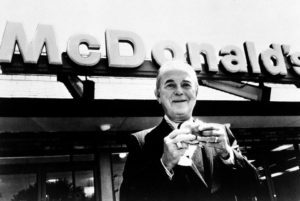 His message was to sell the benefits not the product, become a good listener, and to always be on the lookout for an opportunity. The unlimited potential for entrepreneurs was apparent. Ellen Rohr said to double what ever monetary goal you may have set for yourself since it is just as achievable. 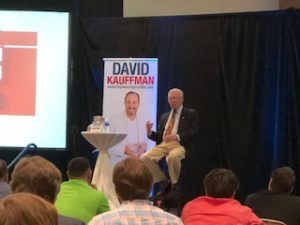 Dave Kauffman host, answered this editor’s question about small business growth with this profound advice, “insource creativity and outsource productivity”. Maria Andros shared her success using video to accelerate sales through a live video then posted as a recording. 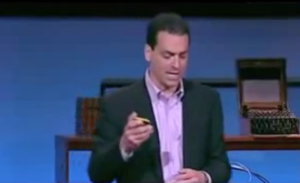 Speaking about kindness in business, Charlyn Shelton suggested everyone watch the Daniel Pink 9-min video on the Science of Motivation -TED talk = https://www.youtube.com/watch?v=r_5kz2jNiJE. The great ideas for growing a small business, for self-improvement, coaching, digital applications kept coming at us. 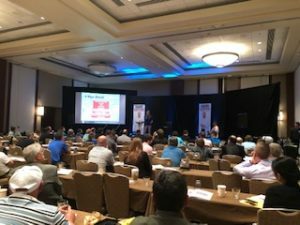 EDGEcon is a real precious gold event, and I would encourage everyone who reads this entrepreneurship blog to attend in 2020, Feb. 28 & 29th, a good time to visit Sarasota, Florida for a winter break. I promise I will be there!